At Parabanks Dental, we understand that every individual wants an instant and effective service that is why we offer you DentiCare payment plan and MySmilePlan that help you get your treatments in a convenient manner. DentiCare payment plan is one such plan that helps you to budget financially. It is a direct debit payment plan that allows you to pay for your various oral care services over a period of time. 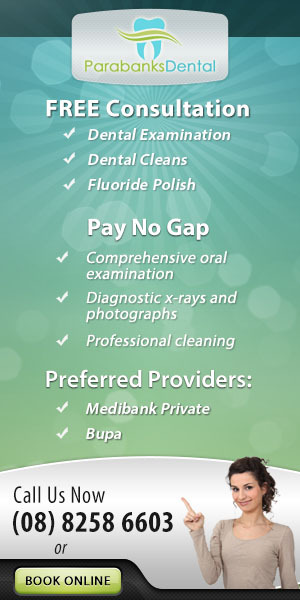 How this Denticare plan is beneficial to you? You are not required to pay any interest apart from a basic setup fee. You just need to pay a minimum percentage of the deposit directly to Parabanks Dental and the balance is paid on a DentiCare Payment Plan. There are no lengthy and annoying forms. You just need to fill a one page direct debit request form and you are ready to go. There are no credit contracts. This is a very flexible payment plan. You have the option of making payments weekly, fortnightly or monthly. This payment plan system is fully automated and specifically designed to ease down the process of managing various payment plans. You may opt for direct debits from your bank account or use a credit card. You can even choose swapping if you find it more feasible. MySmilePlan you can have the dental treatment you need, when you need it with no interest – EVER. MySmilePlan breaks the cost of your treatment into easy, fortnightly credit card payments over 3, 9 or 15 months depending on your dental treatment plan value.